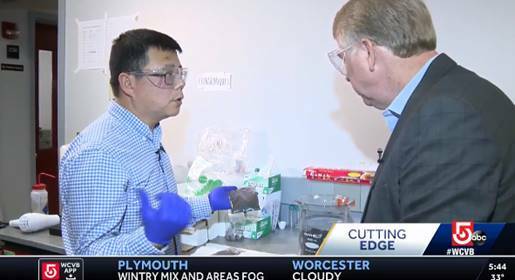 The Metal Processing Institute (MPI) at Worcester Polytechnic Institute is a leading industry-university alliance dedicated to advancing the field of materials science. Through research in the areas of metal casting, heat treating, and resource recovery and recycling, MPI has earned awards, recognition, breakthrough patents, and industry accolades. Working together, industry leaders and university researchers solve business challenges and improve manufacturing processes that save energy, reduce cycle time, increase productivity, and eliminate environmental waste. 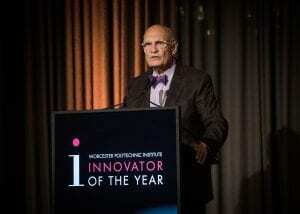 DIRAN APELIAN IS WPI’S INNOVATOR OF THE YEAR! The WPI Innovator of the Year Award recognizes a graduate or friend of WPI who has demonstrated exemplary accomplishments; it showcases an individual who has excelled in driving innovation within enterprises of all kinds, for-profit and not-for-profit, large and small. Read more. Lithium-ion batteries are found everywhere. They are in our cell phones, laptops; even in hybrid cars. And with this growth in popularity comes the need to find a responsible way to recycle them. This is where researchers at the Center for Research Recovery & Recycling (CR3) come in. Mechanical engineering professor Yan Wang and one of his researchers have invented technology that takes spent batteries and identifies what is in the battery that can be reused and what impurities need to be screened out. To learn more about this breakthrough technology that was first developed in CR3’s lab watch the video.